Kitchen worktops are now made from a variety of materials, e.g. natural or artificial stone, solid wood and laminate (e.g. HPL). All these materials offer benefits and have special characteristics. However, a defect-free surface finish and perfect edges are critical production factors. The example above is a so-called laminate worktop with a stone decor. As the cutting edge of this top is rough and unclear, it is covered with sidebars. Foreign bodies, uneven distribution of the adhesive or unevenness when closing may produce open joints between the top material and the sidebars. 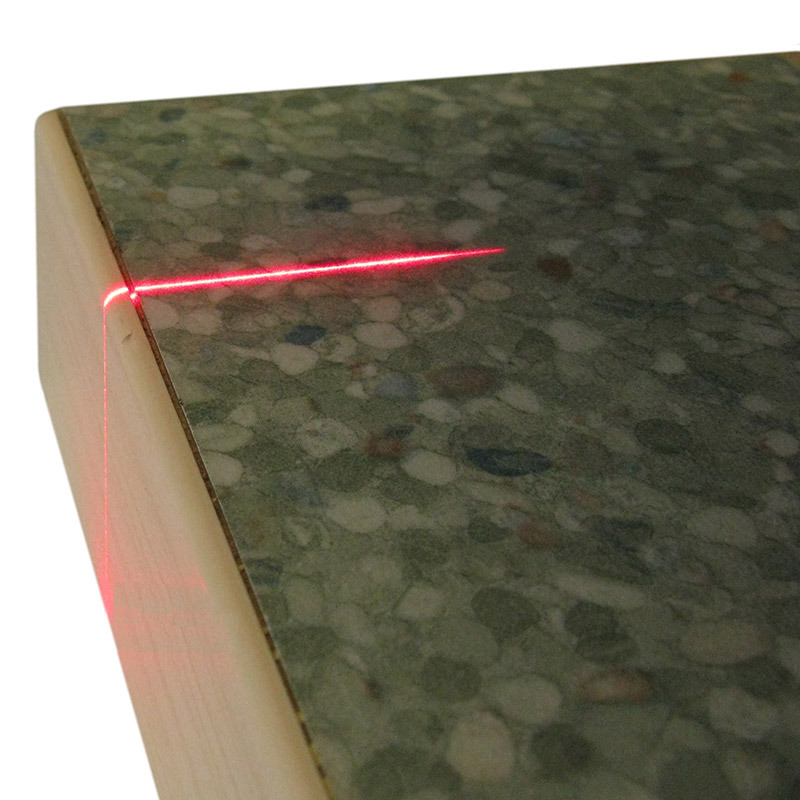 The scanCONTROL 2910-25 laser profile scanner is used to inspect if any open joints are present.